If you weren't keeping up to date on tech news last year, you might not be aware that the FCC voted 3-2 to kill net neutrality on December 14. Net neutrality was a set of protections that prevented ISPs from throttling or blocking internet traffic to specific websites - the rules required companies to treat all data equally. Of course, this vote didn't out of the blue. Months before the event, FCC Chairman Ajit Pai formulated an official proposal that would roll back the Obama-era neutrality rules. This gave the public plenty of time to leave feedback on the matter via the FCC's comment system. However, in May, the FCC claimed that system suffered a Direct Denial of Service (DDoS) attack, which prevented citizens from leaving comments for a couple of days. 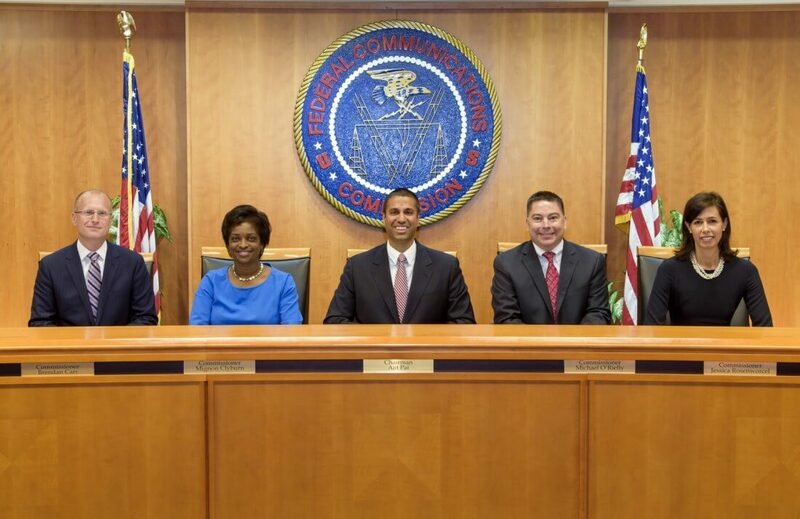 Many were skeptical of the FCC's claims, and it seems that skepticism has proved warranted now. 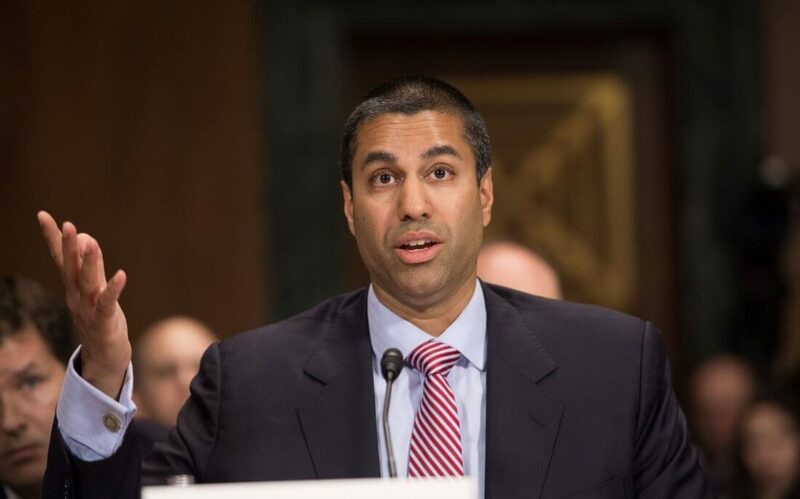 FCC Chairman Ajit Pai yesterday released a statement confirming that the FCC's comment system did not suffer a DDoS attack of any kind. With that said, Pai claims the misinformation spread last year by the FCC was not his fault, but that of the FCC's former Chief Information Officer. This information came to light after the US Inspector General's office performed a full investigation into the matter. "I am deeply disappointed that the FCC’s former Chief Information Officer (CIO), who was hired by the prior Administration and is no longer with the Commission, provided inaccurate information about this incident to me, my office, Congress, and the American people. This is completely unacceptable," Pai's statement reads. Pai goes on to say that some employees working under said CIO "disagreed" with the information he presented to the FCC but didn't "feel comfortable" communicating their concerns with leadership. Chairman Pai hopes to improve the internal culture at the FCC so that everyone feels free to speak their mind moving forward. Whether you believe Pai's claims or not is up to you, but it's certainly nice to see a bit more transparency from the regulatory agency. But still has no interest in hearing from the population he works for. SirChocula and Silvernine like this. SirChocula, Reehahs and wiyosaya like this. Just another lieing politician but let's treat him humanly ... what do you think? Burning at the stake on the White house lawn? The FCC's repeal of NN should be overturned. The agency failed to follow proper procedure and thus it's proceedings are void. "I am deeply disappointed that the FCC’s former Chief Information Officer (CIO), who was hired by the prior Administration and is no longer with the Commission, provided inaccurate information about this incident to me, my office, Congress, and the American people. This is completely unacceptable"
It's even more unacceptable that the boss doesn't accept responsibility. It's going to be a decade in December that Republicans have been using Obama as a scapegoat. Just stop, it's ridiculous at this point. mbrowne5061, SirChocula, Silvernine and 2 others like this. But, but Wheeler, but but Obama, but but, Clinton, but but, it rained yesterday. That there are people out there that believe this crap and accept it as the God's honest truth is amazing! Silvernine and Panda218 like this. Right... cause Obama didn't blame Bush for everything from the financial crisis to Al Qaeda. And don't think for a second whoever gets elected next won't blame Trump for the next decade. It's politics 101. Take credit for all the good stuff and blame other people for the bad stuff. After reading about this from other websites it sounds like a non-story. First clue was that everything that comes up when searching google I get no hits from any major news site. Sounds like there were so many people leaving comments in support of NN that it brought down the site and looked like a DDoS attack. Once Pai said that publicly, no one wanted to correct him. To borrow a line from Hillary - it's a nothing-burger. Burning at the stake on the White house lawn? Cause step 1 is public execution nowadays for people we disagree with, isn't it? Not like there's ever been a person crazy enough to take a joke like that seriously right? CNET has more information about this (and other places on the Web as well). The outage was precipitated by John Oliver exhorting his audience to post comments. Either the CIO didn't know about Oliver or he figured it was a hostile group trying to stop Oliver viewers from commenting. An honest mistake. Where the weasel behavior comes in is this. It would have been sufficient for Pai to just explain that he received erroneous information from a subordinate and leave it at that, but instead he had to finger the subordinate specifically and blame the enemy party. This is not executive behavior, and it's not just tradition that this violates, but a real code of taking responsibility. mbrowne5061, Oshyan and gusticles41 like this. I bet Trump will be blamed for a lot longer than the next decade. mbrowne5061, Silvernine and gusticles41 like this. There's a difference between blaming the past president for everything including the current administration's failures and accrediting failure to programs that were started by the previous administration. Ajit Pai had MONTHS to correct the supposed prior Obama administration official's statement and did NOTHING. If he had beef with it he should have said so earlier, not after he's forced to make a statement to pre-empt the investigation of the incident (By the way he's being investigated by the US GAO and an internal FCC investigation). That's the sad truth of this administration, they have zero transparency until there are multiple investigations into a single person. You need to hold people accountable for who should really be taking the blame. Don't take their word for it, do the research and find the details. It's only a nothing burger if you ignore the fact that Pai brushed off potential DDoS claims and did nothing, made dubious claims about Pro-NN comments, and ignored multiple requests to look into the use of bots writing templated anti-NN comments (which was proven by multiple IT professionals). Pai's blatant disregard for the processes is evident. He cannot blame away his lack of communication and his lack of transparency nor his inaction against attacks on everyday American's free speech. The whole commenting period was tarnished by multiple issues. "When you get past the wild accusations, fear-mongering, and hysteria, here's the boring bottom line: the plan to restore Internet freedom would return us to the light touch, market-based approach under which the Internet thrived"
That's him, calling the opinions of a majority of Americans "hysteria". His plan to restore "Internet freedom" is as aptly named as the patriot act, in which both do the opposite the name implies. That's akin to deregulating food safety requirements to "unshackle chefs creativity" or deregulating banks gives them the opportunity to make "creative" loans, that is until we hit another housing bubble and they need to be bailed out again. Funny how that works. CloudCatcher, mbrowne5061, Silvernine and 3 others like this. I'm glad to see you agree with me... where's the new york times or the washington post or any of the other major ones that jump on Trump and his cronies every chance they get? When people say 'mainstream media' they don't mean commondreams.org or cnet. I'd hope you can find a story buried somewhere, but compare to another story that is of even less consequence to Americans than NN - like Trump's old lawyer's tax abuse case. All from one google search - and those were just the first 3. Only the tech sites with click-bait have this Ajit Pai story. For the record, my goal is not to click-bait or portray Pai in a bad light (or a good light, for that matter). I feel this was a pretty balanced piece, I just stated the facts as I understood them. I don't personally have a dog in this fight. I try to stay out of the politics surrounding the issues. Have a nice day regardless. wiyosaya, cliffordcooley and MilwaukeeMike like this. Except for one giant difference. NN doesn't fix anything. There was no problem to solve. There were no victims. Obama did it to save his donors (Google and Netflix) a ton of money. They are the beneficiaries of NN. There was no internet throttling prior to NN, no fast lanes, none of it. This all started because Netflix went and dropped season 2 of Orange is the new Black and everyone tried to watch it all the first night and the internet couldn't handle it. People complained to Comcast who told Netflix - 'Hey if you're gonna need a ton more bandwidth, you're going to have to pay for it." Netflix didn't want to, so they and Google (Cause Youtube would have been charged too) went to the govt and complained about it. Next thing you know we have NN and Obama's #1 tech donor (Google) is happy. They say it's all 'fair' and the entire public who's completely unwilling to learn what the real issue is jumped on and agreed that Comcast was evil and NN was fair. Fast forward to Pai and he says the Govt shouldn't be picking sides - they should stay out, and we should go back to the way the internet was when Google and Netflix and all the others rose to greatness. Next thing you know people are comparing NN to seat belts in the context of necessary govt regulation. So - no, I don't think we should get rid of allergy statements on food, or lead restrictions in drinking water. But this is so different it's laughable. NN is much closer to snake oil than bank regulation. It's a regulation we don't need that does nothing but help the govt's friends. Sausagemeat, m4a4 and cliffordcooley like this. So what has Paul Manafort got to do with this? You are quoting CNN, the NY Times, and NBC News after fearful leader accused them all of Fake News? Sounds like a red-herring to me. Oh, but that's the Chicago Tribune - it must be fake news, right? Hasn't fearful leader said something to that effect about the Chicago Tribune yet? I think the main thing is that Pai is under investigation. My apologies that the swamp is being filled rather than drained. Except for one giant difference. NN doesn't fix anything. There was no problem to solve. I must have missed the throttling, threatening, and ad injecting among other things that all stopped during NN and how they just recently got it trouble for it again not too far off from the repeal. Don't start making up reasons, Verizon already admitted to throttling and Charter got caught red handed. Stop spreading FUD when the facts are in plain sight. That's your example? A single test done by Verizon against slowing down ALL video streams (read the Update at the bottom of the story)- which wasn't specific to Netflix and therefore consistent to all traffic and not a violation of NN? If that's what you can find you're helping me prove my point. And that's one story from over a year ago. Shouldn't there be quite a few of these from after NN was repealed? You won't find one. Because a) there are other rules against throttling and favortism and b) the social media outcry would be WAY more bad publicity than just keeping things even. Thanks Wiyosaya for finding a good example of a seemingly NN case that's actually extortion (from the article) and therefore already illegal. I expect he would be under investigation. Not that he's done anything illegal. But we stopped investigating crimes a while ago - now we investigate people to look for a crime so we can remove them from office and throw them in jail. Gross violation of rights, but when the person is disliked by the loudest part of the population it's allowed to happen. "However, in May, the FCC claimed that system suffered a Direct Denial of Service (DDoS) attack, which prevented citizens from leaving comments for a couple of days." Uhhh.... we just gonna let that slide? Cause I thought everyone knew it was Distributed Denial of Service attack. A DoS attack is more direct than a DDOS is. "In 2007, Comcast was caught interfering with peer-to-peer traffic. Specifically, it falsified packets of data that fooled users and their peer-to-peer programs into thinking they were transferring files. Comcast initially denied that it interfered with its subscribers' uploads, but later admitted it. The FCC held a hearing and concluded that Comcast violated the principles of the Internet Policy Statement because Comcast's "discriminatory and arbitrary practice unduly squelched the dynamic benefits of an open and accessible Internet and did not constitute reasonable network management." The FCC also provided clear guidelines to any ISP wishing to engage in reasonable network management. The FCC suggested ways that Comcast could have achieved its goal of stopping network congestion, including capping the average user's capacity and charging the most aggressive users overage (going over a maximum) fees, throttling back the connections of all high capacity users, or negotiating directly with the application providers and developing new technologies. US cell phone ISP's have also increasingly resorted to bandwidth throttling in their networks. Verizon and AT&T even applied such throttling to data plans advertised as "unlimited", resulting in pushback from the FCC and the FTC respectively." And the many many reports of throttling going on on the charter / dslreport forums. You could be at it all day. You won't find one. Because a) there are other rules against throttling and favortism and b) the social media outcry would be WAY more bad publicity than just keeping things even. Oh yeah? Let's see a link to the rules that outlaw throttling and favoritism. Lets see ya grasp those straws. Exactly, just like Benghazi. Took them fours year to find nothing. But hey, I support investigations in general and will take any opportunity to assess potential misdeeds. I support our right to find the truth, just like I support the Mueller probe as well. I'd appreciate it if you spent less time dividing Americans (assuming you aren't Russian) and support the proper judicial process regardless of your innate bias. @MilwaukeeMike Here's an interesting one for you - https://www.cnet.com/news/fcc-formally-rules-comcasts-throttling-of-bittorrent-was-illegal/ And that was from W's FCC. And another - https://www.theverge.com/2018/2/27/17057236/federal-judges-att-ftc-lawsuit-speed-throttling-fcc more recent. Unless you are advocating that we arrest people for crimes before those crimes have been investigated, or that we let everyone get away with potentially illegal activity and just don't bother to investigate when the possibility of someone committing something illegal exists, I suggest you might want to rethink what you said. Perhaps I should put it this way: Do you support the constitution? If so, what your statement about investigations suggests is that the 4th amendment should be thrown out. https://en.wikipedia.org/wiki/Fourth_Amendment_to_the_United_States_Constitution Please educate yourself before you throw yourself under the bus again. Hillary was investigated multiple times by republicans ad-nauseum at a cost of millions of dollars, and you know what? They did not find anything chargeable. But I suppose that republicans should have just ignored their findings and locked her up anyway, right? Don't bother answering because I know your answer will be YES, THEY SHOULD HAVE! As long as the flow of the investigation goes in your favor, regardless of what the constitution says, that is a good thing, right? Or perhaps questionable behavior should be ignored because it goes in your favor, right? Constitution be dammed as long as doing so enables you to force your view on others, right? If Pai did nothing illegal, that is part of what the investigation will determine. Right now, the fact that his story has changed a few times since the NN thing hit the fan does not bode well for him, IMO, and I doubt public opinion of him had as much influence as it seems you would like to believe. The simple fact of the matter is that more than just public opinion was required for an investigation; in other words, those who are investigating him must have determined that there was cause to investigate. If that investigation finds nothing, then by all means, feel free to come back here and tell us all, "I told you so!" If that should happen, while I might not agree with it, I will rest comfortably knowing that The Constitution was followed and prevailed. Where did I say anything about it applying only to netflix? I didn't, nice try at a scarecrow argument though. Throttling video across the board is, obviously, still throttling. You think NN will force ISPs to give everyone full speed access to everything all the time all at once? Every cable plan you can buy right now is speed capped (aka - throttled) In my area Spectrum is offering 200 mbps and AT&T is at like 50. It's on every commercial and a completely normal thing. When we had NN for a while they didn't get rid of these caps. Do you think they're 'throttling' or are they just giving people what they pay for? Exactly, just like Benghazi. Took them fours year to find nothing. My point exactly - they investigated BENGHAZI - the event where 4 people died. That's what they should investigate - they didn't decide to investigate Hillary because they didn't like her and ended up learning about Benghazi. And they found plenty -- They found gross incompetence when no one responded to the distress call when they were under attack. They found emails that proved Hillary told her daughter it was terrorism while she told the rest of the world it was because of an internet video. They investigated the video - and never found one because it didn't exist. This isn't a discussion on that, but again - you agreed when you meant to argue the opposite. There's a big difference between having a rated speed (which everyone does) and your ISP throttling video services which is what the one link was about. See, this is a very partisan conclusion you've come to here. The US House of Reps Permanent Select Committee says otherwise. The US House of Representatives Permanent Select Committee on Intelligence releases a report on the Benghazi attacks. The report concludes there was no intelligence failure prior to the attack, no stand-down order to CIA operatives trying to go assist at the besieged consular building and found conflicting intelligence in the wake of the attack about the motive and cause, which were reflected in early public comments by the Obama administration." In fact, the 2016 report, led by republicans, doesn't add anything in regards to Clinton that could remotely be considered "incompetent". The difference between the 2014 report and the 2016 report is that the later one was a political project. Not surprising given it was led by Trey Gowdy. I know Clinton wasn't incompetent in regards to there being no response when the embassy was attacked. I'm sure you don't call the secretary of state when your embassy is under attack. If anything the incompetence should be in having to call the secretary of state before saving the people at the embassy. It also came out later that she had emailed her daughter to say it was a planned terror attack and not a response to an internet video. This is important because it was 6 weeks before Obama's election in Nov 2012 and he was running on a platform of having been tough on terrorism. If it were known that there was a major attack like this right before the election (It happened on 9/11/2012) it would seriously look bad for Obama. To be fair - the narrative that it was a video that caused the attack was probably not Clinton's idea - she was just on record saying it was, and she was in the middle of it because of her position. It was also her fault that we know the truth, because the investigation of her private email server turned up the emails. Had she not had been using that account we'd probably never have known she'd knowingly lied.